By using our site, you are agreeing to comply with and be bound by the following Terms and Conditions. Please review the following terms carefully. If you do not agree to these terms, you should not use this site. The term “World Study Travels” or “WST” or “us”, “we”, or “our” refers to World Study Travels Ltd; the owner of this site. The term “you”, “customer(s)”, “student(s)” refers to the users and viewers of this website. 1. 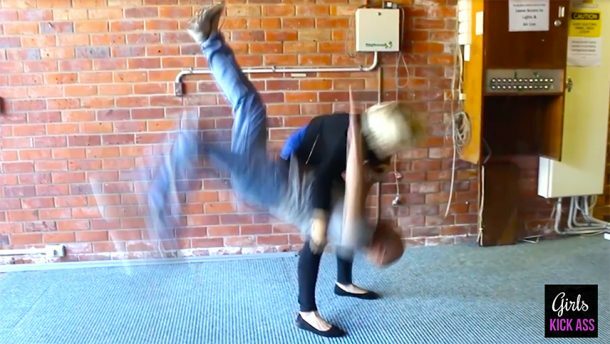 I recognise and understand that self-defense training is an activity that involves physical contact and that my participation might result in injury, including disability, and social and economic loss. 2. I recognise and understand that such risk may be due to not only my own actions, but also the action, inaction or negligence of others, the regulations of participation, or the conditions of the premises, or of any of the equipment used. 3. Recognize that there may be other risks that are not known to me or to others or not reasonably foreseeable at this time. 4. Agree to inspect the facilities, equipment and pairings prior to participation. I will immediately inform an instructor if I believe that anything is unsafe or beyond my capability and refuse to participate. 5. Assume all of the foregoing risks and accept personal responsibility for any damages that may result from injury, or disability. 6. Enter martial arts training entirely of my own free will and understand the importance of following the rules of training. 7. I certify that I am in good physical condition, and have no disease, injury or other condition that would impair my performance or physical and mental well-being during training. 8. Grant permission in case of injury to have a doctor, nurse or other emergency medical personnel provide me with medical assistance or treatment for such injury. 9. Release, waive, discharge and covenant not to commence legal action against, World Study Travels, its affiliated organisations, instructors and personnel, other members of the organisations, participants, supervisors, coaches, and if applicable, owners and lessors of the premises from any and all liability to the undersigned, demands, losses and damages which may be sustained and suffered on account of injury, including death or damage to property, caused or alleged to be caused in whole or in part by the negligence or otherwise. In order to process your booking, WST need to collect certain personal details from you. These details will usually include the names and addresses of party members, credit/debit or other payment details and special requirements such as those relating to any disability or medical condition that may affect the holiday arrangements. We take full responsibility for ensuring that proper security measures are in place to protect your information. We must pass some information on to the relevant suppliers of your travel arrangements (hotels, transport companies etc.). Such suppliers may be outside continental Europe if your holiday is to take place or involve suppliers outside these countries. The information may also be provided to security or credit checking companies, public authorities such as customs/immigration if required by them, or as required by law. Except where expressly permitted by the Data Protection Act 1998, World Study Travels will only deal with the personal details you give to World Study Travels as set out above unless you agree otherwise. We may make contact with you or members of your holiday party by post, e-mail, or telephone for the purposes set out. We will also use your information to inform you of offers in the future or to send you brochures. If you do not wish to receive such approaches in the future then please let us know as soon as possible by telephone, letter or e-mail us at info@girlskickass.org. If we do contact you by e-mail about our new brochures, updated website or special offers, you will also be able to unsubscribe yourself from our database at this time. When the passenger submits the review form they accept that the feedback and all rights therein, become the sole property of WST and that WST shall have the right to make it available to the public on this website and for any purpose and in any media (including for advertising or other commercial use). The passenger consents to WST using images taken of the passenger during the tour for advertising and promotional purposes in any media we choose. The passenger grants WST a perpetual, royalty-free, worldwide, irrevocable licence to use such images for publicity and promotional purposes. Students are required to be at departure points 15 minutes prior to departure of the tour. Tour departure times and meeting points are listed on our website and confirmed on your ticket. Failure to arrive on time will result in missing the tour and no refund will be issued. Upon successful processing of the booking a copy of the ticket will be emailed to the email address provided to us at the time of registration. You will also be able to print your ticket at the completion of booking process. For standard bookings, a non-refundable deposit of 50% off the tour price per person is required. All bookings will be confirmed by WST in writing to the lead passenger along with confirmation of balance payment details. The tour balance for all bookings will be direct debited from the payment details given at the time of booking 60 days prior to the departure date of the tour; if there is a failure to complete the payment World Study Travels reserves the right to cancel the reservation. Online Booking Payments will be processed using PayPal or the usual bank transfer. You do not need to have an account with PayPal to be able to make online payments. Certain card companies do not allow payments via PayPal, so make sure to check with your card provider before making an online booking. Once a booking has been made for a tour, it is not possible to cancel the tour within 60 days of departure. Cancellation between 60 and 7 days will incur 100% cancellation fee. If the payment was made by card, the refund process will normally take between 7 to 10 working days. As for cash payments, the refunds will be instant. Customers are required to ensure they have the correct documents for travel to Indonesia, including Passport and Visa which are required by some nationalities. WST uses the services of other agents such as ferry companies, coach operators, and hotels. WST cannot be held responsible for the failure of any of these companies to supply the services required or for any delays resulting in such failure. In the event that any of our suppliers are unable to deliver the services required, WST will make every effort to make alternative arrangements so that the trip takes place or continues as per the schedule. Extension holiday tours and retreats are offered at an extra charge payable during or before the trip. WST reserves the right to deny carriage of passengers. Anyone who becomes aggressive, continually disobeys requests from the driver or tour guide, or is deemed to be putting other passengers at risk will risk being removed from the tour. If you are removed from the tour it will be your responsibility to arrange and pay for your return transport. Brochure descriptions and prices are accurate at the time of printing but WST reserves the right to amend the itinerary as circumstances dictate although all advertised components of the tour will be included they may not take place in the order described. In the event that WST has to cancel any tour due to insufficient number of bookings then a full refund will be given. Notification of cancelled tours will be given at least 12 hours prior to trip departure dates. All student tours information shows example itineraries to use as a guideline. Please note that the order we visit various attractions may change depending on the circumstances or time of year. Please follow the advice of your guide and make sure that you are at the various pickup points and departures at the correct times. Should a passenger fail to join a tour, joins the tour after departure, or leaves the tour prior to completion, no refund will be made. World Study Travels Ltd. does not carry passengers under the age of 16 years of age unless they are accompanied by an adult (over 18) who has been given authority to act as the legal guardian. On tours where under 16s are carried on tours a group leader must be present who assumes legal guardian responsibility. Where no group leader is present, students under 18 but over 16 (on date of travel) may travel unaccompanied subject to the following conditions: In accordance with British Council guidelines students who are aged 16 & 17 and booked on an adult course are classed as adults and are able to travel independently on World Study Travels. However, this is at the discretion of the school/ students’ parents and school staff deem the student to be mature enough to take responsibility as an adult. Students under 16 years old must always be accompanied. World Study Travels managers can at no time accept the responsibility of guardianship or responsibility of passengers under the age of 16 years as they are there for the purpose of tour management only. For the comfort of other passengers WST does not take under 5 year olds on the tours. Please call our tour operator managers in any case of emergency if your tour guide is unavailable. Your travel has been booked by World Study Travels (“us” or “we”), on the basis of the following terms and conditions. The enclosed ticket(s) (“voucher(s)”) have been booked by yourself or us on your behalf with various Service Providers. Each Service Provider may have their own terms & conditions applying to your travel. It is important that you read the relevant & corresponding brochure for each of your bookings in order to understand all applicable terms & conditions. If you require additional information to that contained in the brochure then we recommend that you contact the Service Provider for further clarification. For some bookings, a non-refundable deposit of £120 off the tour price per person is required. All bookings will be confirmed by WST in writing to the lead passenger along with confirmation of balance payment details. The tour balance for all bookings will be direct debited from the payment details given at the time of booking 60 days prior to the departure date of the tour; (90 days prior to the departure for Ski-France tours) if there is a failure to complete the payment World Study Travels reserves the right to cancel the reservation. Online Booking Payments will be processed using PayPal. You do not need to have an account with PayPal to be able to make online payments. Certain card companies do not allow payments via PayPal, so make sure to check with your card provider before making an online booking. Your responsibilities: Open tickets: You must book your travel dates in advance with the individual Service Provider as per details provided on your voucher. Tickets with booked dates: It is your responsibility to ensure you redeem your tickets on the dates booked. If you wish to change these dates you must organise it with the Service Provider directly, with adequate notice You must reconfirm all booked dates 48 hours prior to travel (minimum guide only) or in the manner stated on your voucher. If applicable, dietary requirements should also be confirmed at this time. Credit card fees and fees paid to us for accommodation and luggage storage are not transferable or refundable. If you cancel your travel, you must pay us a fee of 50% of the value of the travel that was booked on your behalf and cancelled (“Cancellation Fee”). In addition, if a Service Provider charges us for the cancelled travel you must also pay us the amount that we are charged on your behalf by the Service Provider. It is therefore possible your cancellation fees could be up to 100% of the cost of the booking, regardless of whether travel has commenced (for example cancellations made within 24hrs of travel or certain flight bookings). The Cancellation Fee will apply in all cases where a tour is able to run. For example, if you are unable to reach a tour due to an “act of God” (for example a road is cut off due to flooding) the normal Cancellation Fee will apply if the tour still runs in your absence or would have run but for your absence. If a tour or other travel service is cancelled by the Service Provider, we will refund you the amount paid for the tour or other travel service less a 10% administration fee (“Admin Fee”). This full refund minus admin fee is subject to a fully refundable amount being given to World Study Travels from the supplier who is cancelling. We highlight here that all suppliers have different cancellation terms, and is on a case by case basis. Please note that in the case of Natural Disasters (eg flood, fire, cyclone, etc) many service providers do not offer any refund, hence we cannot provide a refund to you. We strongly recommend Travel Insurance to cover this situation. The 10% Admin Fee does not apply to: Dive Courses where you fail a Dive Medical test; or Skydives cancelled by the Service Provider within 3 days of booking due to weather, and a full refund will apply. Where a refund or other payment applies, you may choose to transfer the whole cost of the tour to another tour. However, we may charge you a transfer fee of $30. Whilst we normally attempt to process refunds swiftly, situations (such as natural disasters) may result in up to 30 days processing time, due to high volume. By purchasing a cancellation insurance policy at the time of entry into these terms and conditions you can reduce all risk of being subject to various fees and unexpected costs as a result of unforeseen circumstances and changes. You in some cases can claim up to 100% of the associated costs/ fees incurred through the insurance provider, dependent on the terms of policy purchased. Cancellation Fees can vary from 10% to 100% for tour and bus bookings. We reserve the right to cancel or postpone the event to a later date in a case of low number of attendees. In a case like that, you will be eligible to a 100% refund. We endorse the recommendation of the Department of Foreign Affairs and Trade that all travellers take out travel insurance. We can provide information to you about travel insuranceshould you require it. It’s your personal responsibility to purchase your own travel insurance to cover any liability which may be incurred to us or a Service Provider and other travel misadventures that you wish to be insured against. We recommend that you source travel insurance with a low excess payment, to make claiming on cancelled tours worthwhile. We endeavour to package tours that will meet your expectations. However, we take no responsibility for any matters that arise with regard to or during individual tours or arrangements with individual Service Providers. We appreciate your feedback, whether complaints, compliments or suggestions. However, to the extent permitted by law we will not be responsible to you for any loss, expense or damage that you may suffer during any particular tour, accommodation or travel, no matter the cause. These matters are the responsibility of each individual Service Provider and you agree that you will not hold us liable in any such circumstance. As a valued customer of World Study Travels you may receive work and travel deals and exclusive notifications from World Study Travels and brand affiliates. We endeavour to package the best value tours available at the best prices. However, we take no responsibility for price fluctuations arising from changes in the prices charged by Service Providers occurring before final payment. Accordingly, the price of your travel is subject to change until such time as you pay for the travel in full. Many tours have extra costs and you should be aware that there may be added expenses. These expenses will differ for each Service Provider but some of the more usual extras are: EMC Tax, Stinger suit Hire, Luggage storage, Sleeping Bag Hire, Linen Hire, National Park Fee, Food, Insurance, Accommodation, Equipment Hire, Petrol Levy. We will alert you to extra costs to the extent reasonably practicable. However, you must also check with each individual Service Provider when you confirm your ticket. All ticket/voucher reissues attract a $20 administration fee. Transfers between tours may incur a $30 administration fee. It is your responsibility to fulfil the passport, visa and other immigration requirements for all transiting and stopover destinations applicable to your itinerary. You should confirm these with these with the relevant High commissions, embassies and/ or consulates. We do not accept any responsibility in the case of you being unable to travel due to not complying with any such requirements. Your passport must be valid for 6 month beyond your return date into to chosen travel destination. Australian residents should refer to the travel advice posted by the department of Foreign Affairs at www.dfat.gov.au or www.smartraveller.gov.au for all the countries you intend to visit. Vaccinations may be required for some or all of the places you are intending to visit. It is your responsibility to ensure that you have arranged all necessary vaccinations for your itinerary. World Study Travels Ltd. Company Reg. No. 09187365 (England). Address: Kingston Nest, Kingston Business School, KT27LB London, England. The Author is not responsible for any contents linked or referred to from his pages – unless he has full knowlegde of illegal contents and would be able to prevent the visitors of his site from viewing those pages. If any damage occurs by the use of information presented there, only the author of the respective pages might be liable, not the one who has linked to these pages. Furthermore the author is not liable for any postings or messages published by users of discussion boards, guestbooks or mailing lists provided on his page.